Words and photos by A Girl Has To Eat and myself. The award winning Gaylord Indian Restaurant was founded in 1966 and is an offshoot of the original Gaylord in Mumbai which opened in 1956. The cuisine originates from North of India with a menu that is long, varied and eclectic. The décor also embodies an authentic Indian experience with artworks by the noted Indian painter Prithvi Soni. We dined at Gaylord recently as part of a Zomato bloggers’ dinner and Gaylord took the difficulty of choosing from its extensive menu by serving us a selection of their highlight dishes. There was food aplenty, and it was such a delight to have the opportunity to taste so many different things. We started with canapés before moving onto starters, main courses and then desserts. For canapés, we tried some zaffrani chicken tikka (£8.50/£14) and chicken murg malal tikka (£8.50/£14.50), both of which were nicely cooked and pleasantly spiced. The aloo tokri chhat, a savoury potato basket was also really tasty and really crunchy. Moving on the starters, and the tandoori tiger prawns (£10/£20) with saffron proved to be the knockout dish of the evening. The tiger prawns were big, fat and juicy with a firm luxurious texture. They were also really well cooked with the tandoor cooking helping to hold in much flavour. The spicing was lovely, and with the prawns being so plump, they were just a joy to eat. Crab cakes (£11) with curry leaves, southern spices, sesame seeds and mustard cress were cleverly presented, with each crab cake being perched on a sugar stick. The spicing was pleasant, and the crab cake offered a decent flavour, but I would have preferred more crabmeat for a greater taste of the sea. 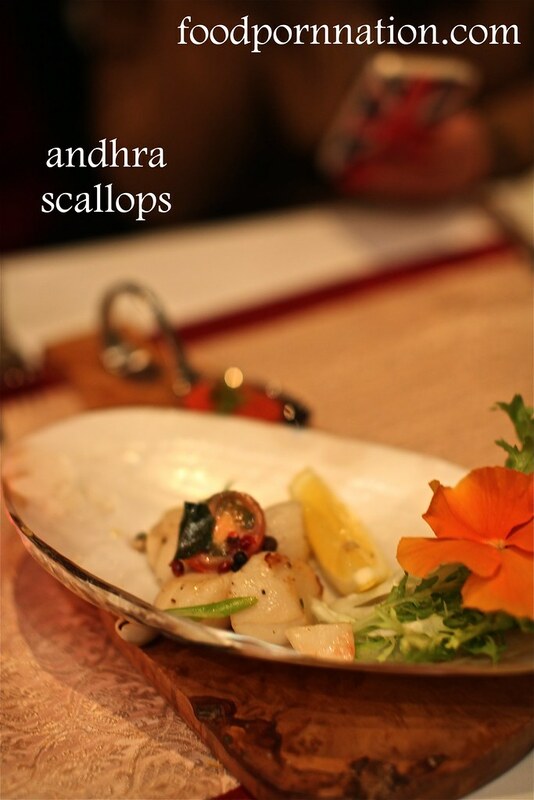 Andhra scallops (£11) was a slightly disappointing dish with the scallops being fairly bland. They tasted watery, and the combination with crushed black pepper, curry leaves, cherry tomatoes and pink peppercorns did little to lift the flavour of the dish. There were two interesting taco dishes to be had, one of spicy rajma (£7.50) with red kidney beans, and the other of lamb seekh (£9.50). 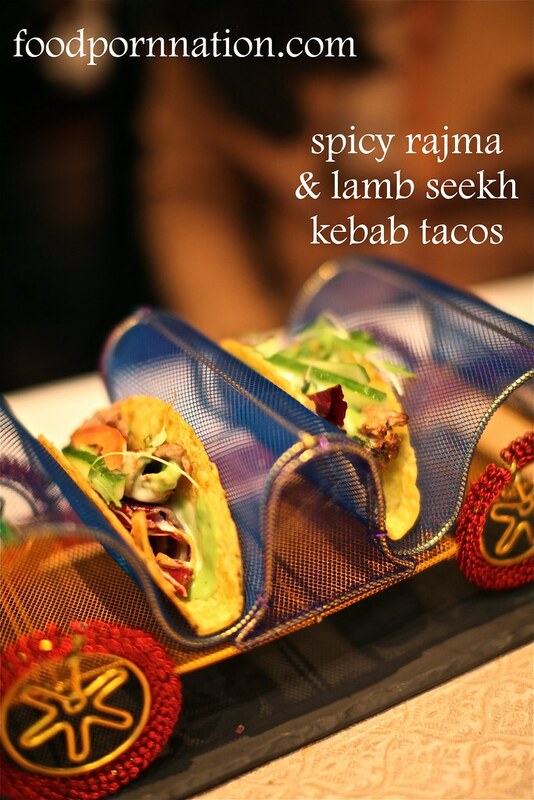 The red kidney bean taco was lovely and was bursting with freshness and aromatic spices. In contrast, the lamb didn’t hold up as well. More could have been injected into the lamb mince to give it more flavour. The taco shells were also a little stale. We had a wonderful selection of mains. 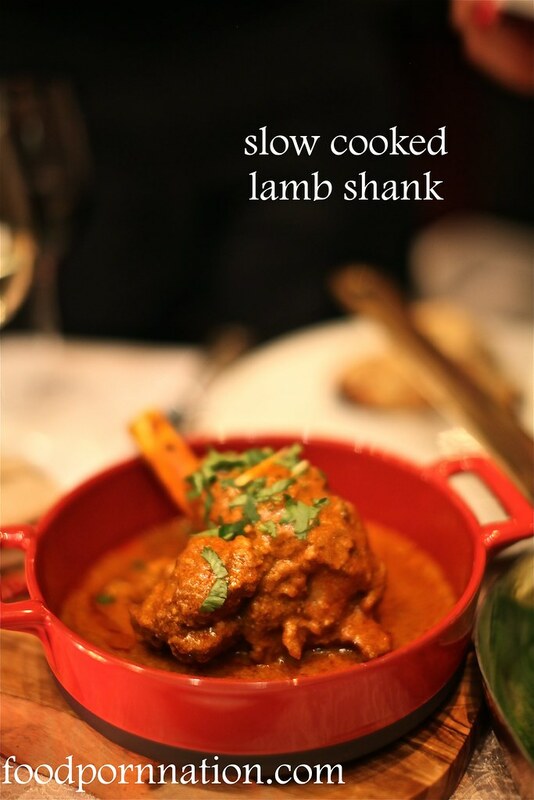 I adored the slow cooked lamb shank (£18) as the lamb was meltingly tender and simply fell off the bone. The sauce, made with fiery red onions, plum tomato and Kashmiri red chilli wasn’t particularly hot, but it was delicious and worked well with the meat. La Porte De Indes is not like your typical Indian restaurants. It’s Indian with a twist and it showcases food from the Pondicherry region, a former French colony. So you can imagine how this place piqued my interest at the promise of an overlap between French and Indian cuisine. First up, I couldn’t resist the temptation of tandoori seared foie gras. The wondrous slab of foie gras came accompanied with naan bread, fig and ginger chutney. This was beautifully rich and was perfectly juxtaposed with the sweetness of the chutney. 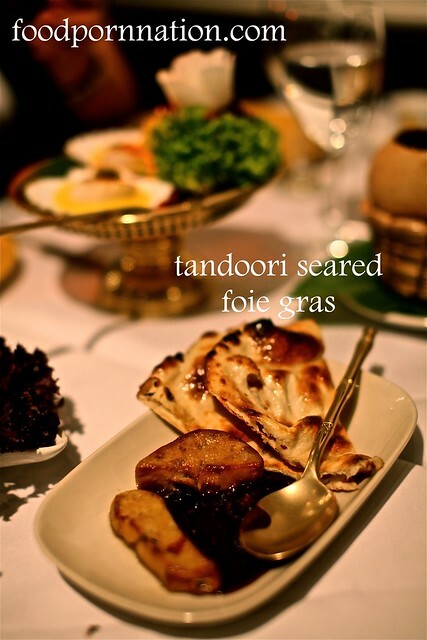 Foie Gras – £13.00: Tandoori seared, served on a crisp honey naan bread with a fig and ginger chutney. The scallops were fresh, juicy and plum and were left in a pool of garlic and saffron sauce which I found very buttery and creamy. 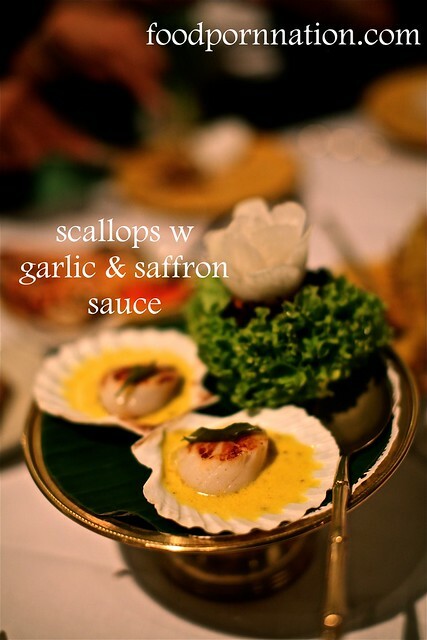 Demoiselles de Pondichéry – £12.00: Large juicy grilled king scallops with a hint of garlic in a mild saffron sauce. One thing that La Portes De Indes is famous for, is for their tandoori grill. 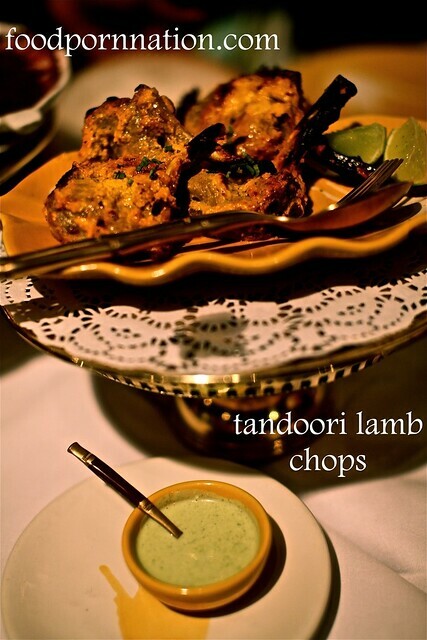 The lamb chops were marinated in yoghurt, brown onions and garam marsala and served with a delicious mint chutney. These are so delicious it’s best to just unleash your animal instincts and gnaw them until they are bone dry. 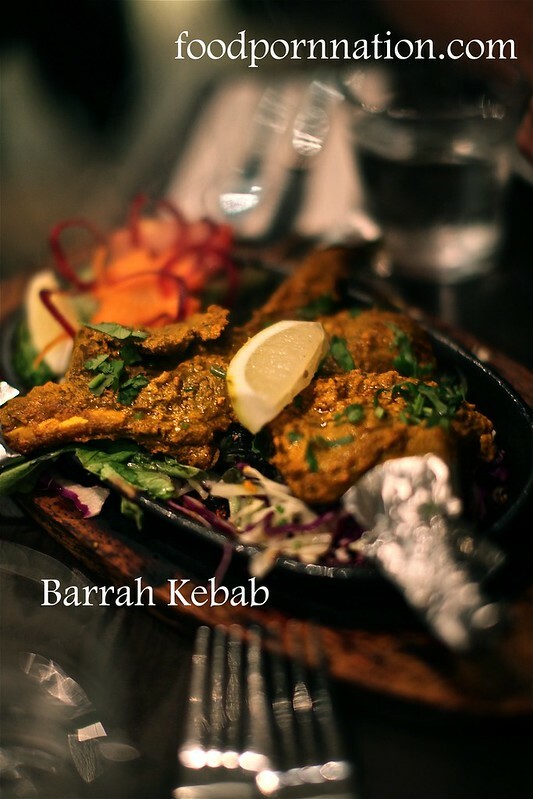 Barra Lamb Chops – £19.00: lamb marinated with browned onions, yoghurt and garam masala; char grilled to perfection, served with mint chutney. 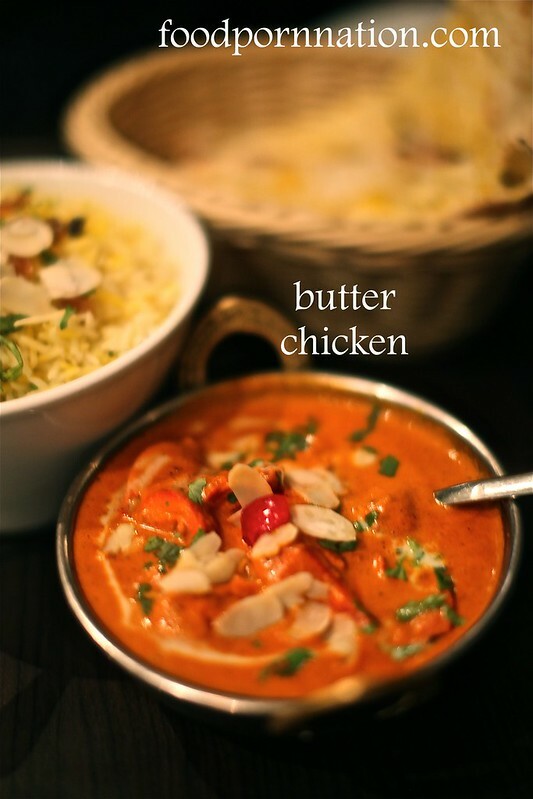 There’s nothing like a bit of Indian food to comfort and hold you on a cold summers night! It was drizzling and cold out and I couldn’t help but ask for something spicy and for something saucy to warm me up from the inside. 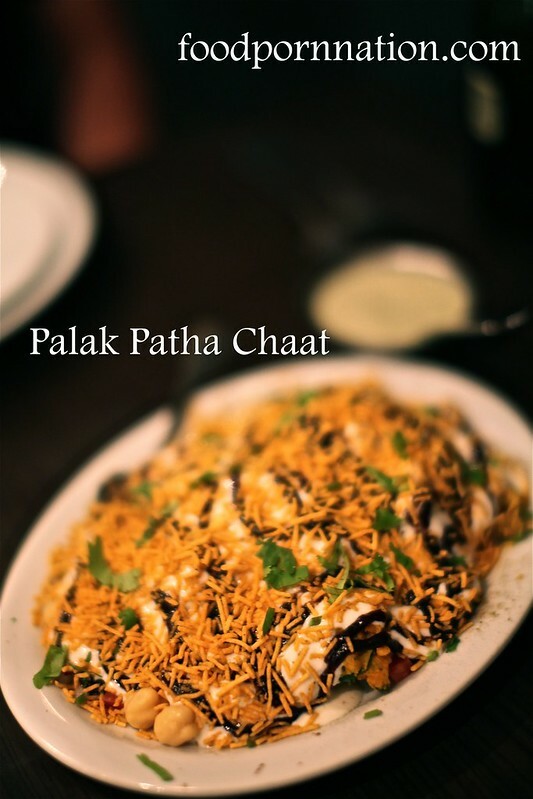 The yoghurt and tamarind sauce licks the fried spinach, chickpeas and potato pieces and is simply out of this world! I never knew vegetables could taste this good! The sauce is sweet, spicy and tangy whilst balancing the contrast of so many textures. There is a lot happening at once and you can’t tell what’s what, but that’s simply the best part. The guessing game. The next starter was a show stopper. Gracing us with its sizzling and searing presence, I couldn’t help but film the moments that ensued. The baby lamb cutlets were succulent and juicy flavoured with subtle spicy notes. Dipped with mint yoghurt and drizzled with lemon, simply gave it the perfect send off. I had a bit of a teensy tiny sook that we didn’t get something spicier but I am a woman of compromise. I gave in to having the butter chicken and subsequently, with no regrets! It was a buttery, creamy and saucy delight. A delight I knew my hips were going to pay for later.